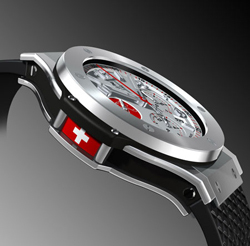 So, in April of this year sales of Swiss watch exports reached 1.7 billion Swiss francs. Compared with April 2011 exports to the same month in 2012 grew by 7.9%. However, the rate of growth compared with last year is still a little slowed down. Nevertheless, in April had the highest volume of exports since the beginning of 2012. Stable growth can be traced primarily in relation to gold wristwatch. Apparently, the world is longing for luxury! Watches of the combined materials and do not lose their popularity in the world, but the export models of steel for the first time in two years has decreased markedly. The number of exported watches remained stable: the model for which there is demand, reimburse the disadvantages generated by reducing the demand for others. And now let’s specifically. Sales of watches costing less than 500 Swiss Francs (export price) in April remained unchanged. On the other hand, export models in the category of 500 to 3000 francs rose by 7.7%. Also, sales of watches belonging to the category of “luxury” for the first four months of 2012 increased by as much as 20%. Conclusion – the world is richer by leaps and bounds! The leading “a lover of watches” was Gonkoga market, U.S. sales fell slightly due to the unstable economic situation in the country. China remained one of the most dynamic markets. In Europe, France and Italy have a little “pumped up”, but Germany, which finished seventh position in the list of leaders who made the leap month of 24%.